a leading U.S. environmental, pollution abatement and energy solutions firm, announced Thursday that its CEO will return to China from September 17th- 23rd to visit two projects already underway and for several new potential partnership meetings. With its eyes set on Asian expansion, the company has also incorporated the China market into its marketing communication efforts, including the addition of a Chinese landing page to their website. In May 2017, Ship & Shore was engaged by global paint giant Sherwin Williams for a multi-million dollar project near Shanghai, China. Working directly with Sherwin Williams, Ship & Shore was to design, build, install, commission, and start-up a VOC Concentrator + Regenerative Thermal Oxidizer (RTO). 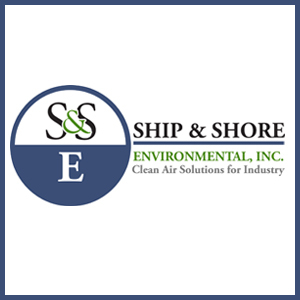 Ship & Shore CEO, Anoosheh Oskouian, will visit the project site and meet with the Chinese equivalent of the EPA- The Ministry of Environmental Protection Environmental Protection Bureau (EPB) on her upcoming trip. Oskouian will also visit the second project, involving a million dollar project in Ningbo for Omnova Solutions, a global manufacturer of emulsion polymers, specialty chemicals, and functional and decorative surfaces, for which Ship & Shore installed a Recuperative Thermal Oxidizer (including buffer tank & detonator arrestors) & all safety measures and instrumentation. “As predicted in May, we are seeing an increasing demand from China. Our recent global expansion in Asia is in large part thanks to our excellent relationship with the AQMD (South Coast Air Quality Management District, the Southern California EPA). I serve on several boards and committees, including one for AQMD, the toughest and most respected air quality agency in the country. I am excited to meet with a number of potential new local partners to further grow our presence. China’s Ministry of Environmental Protection has once again invited us to share our technology and expertise,” said Oskouian. In 2016, Ship & Shore expanded its international operations with a new Sales & Marketing division and a new Manufacturing and Engineering Center located in Zhangjiagang, China. This center houses Ship & Shore proprietary pollution abatement technology, which, just this year, S&S began manufacturing on site. S&S’ proprietary systems help remove volatile chemicals which combine to form smog, as well as industrial chemicals, alcohol, solvents, and petroleum products, including gasoline. EPA collaborates with China to share expertise and experience in the monitoring and reduction of air pollutants. This includes promoting the use of integrated air quality and regional multi-pollutant air quality management strategies, and the development of frameworks and technical capacities to adopt effective emissions reduction strategies, such as emissions control and trading mechanisms. EPA continues assisting with hosting study tours, training, and cooperation on multi-pollutant and mercury controls. EPA helps to conduct Regional Air Quality Monitoring (RAQM) conferences with MEP to address priority air quality issues. EPA is developing a pilot project to build regional air quality planning capacity for air quality managers in Jiangsu Province in collaboration with the U.S. Trade and Development Agency.